This week, I'm posting reviews of books by children's author Fred Bowen in anticipation of an author interview with him that will be published here on the blog this coming Thursday. This review was originally posted on Goodreads in 2014. Ninth grader Jesse has never seen himself as a quarterback. That position belongs to his older brother, Jay, who looks the part. When Jay is not named quarterback on his college team, however, Jesse begins to question whether players should be pigeonholed and takes on the challenge of playing quarterback for his own freshman team, while also encouraging a female classmate to join the team as kicker. Fred Bowen writes a regular sports column for children in The Washington Post, and his background in newspaper writing definitely shows in his fiction. The writing in this book is concise, easy to read, and never dull. Bowen has a knack for moving scenes along using dialogue, and for moving quickly through long periods of time without making the reader feel rushed. Jesse's story spans an entire football season, but Bowen only writes what is absolutely necessary. Very few words are spared for details like setting and physical descriptions of characters; instead, most of the text focuses on football itself, with plenty of scenes from games, and including only those other events which enable the characters to play or watch the game. Though the main character is a teenager, this is very clearly a middle grade book, and one that could be read by kids as young as 7 or 8. The relationships in the book are all very supportive and healthy - even the ones between characters who may be rivals - and Savannah, the would-be kicker, is treated quite fairly by her teammates, and by the author, who does not exploit her character as a token girl in any way. The story conveys a clear lesson, as does the historical content provided at the back of the book, which highlights various famous sports figures who were hugely successful despite not always looking the part. 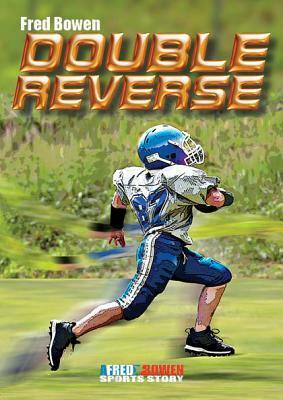 Fred Bowen is to this generation what Matt Christopher was to children of previous generations: a reliably talented teller of sports tales that will appeal to reluctant readers who like sports as well as sports-lovers who like to read.